We have these at school for labs, there is a panel in the wall and the TA puts whatever signals are needed into them. Would kill to have that-or even a function gen at home. Damn good idea on this guys part. Nice work indeed. For as often as a function generator is used for building and troubleshooting I can see the value of having it “right there.” Nice build and I hope he can get the waveforms stable at the higher frequencies with some tweaking. If I get around to building something like this perhaps I’ll throw in a freq-counter display definitely but kudos to the builder! Nice, but does he have long leads for tricky to move projects? Good design, but don’t know where you can still find MAX038, they are obsolete for quite a long time. Thanks, Kammenos. I like it a lot! If I build myself one, I will add a couple of automatic amplitude settings which will be helpful for me: 5Vp-p output and 3.3Vp-p output. Then I won’t have to manually adjust for them. They’re pretty inferior but readily available. If you don’t need sine-wave, go for the XR2207. I would suggest the XR2206, but it is being fazed out completely in April without any comparable replacement. Doing a quick google search for monolithic function generator ic brings up a few other decent chips including an ICL8038 which with a cursory glance seems like it may do the trick. There’s lot’s of MAX038 on Ebay though with the price they are going for if I had one I might chose sell it and design my function generator to use something else anyway. Good job! But they are less expensive as you think. Yeah, the MAX038 is dead part. Even the designer recommends not building this. Why did HaD post this? The Max038 is about $20 and up on ebay. 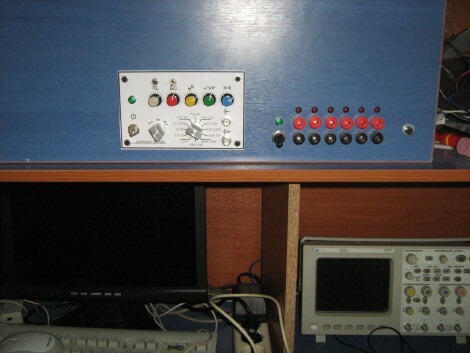 I’d buy myself a simple function generator from eBay instead. You can find one about $40 if you look for it. If the device is powering up, it is very likely to be functioning (calibration might be off). for $40 you can get a digital DDS chip, a micro to control it and maybe even the lcd. It’s a more complex design but might be worth it. That’s great. Where is your web page that has all of the information to build it? Just an advice, with the XR2206 it’s REALLY difficult to reach 1MHz, it’ll go up to 100KHz in most cases. That’s why I said “pretty inferior”. If you came up with a desing that uses a 2206/7 and reaches 1MHz please post it, it would be very usefull for many people (me included). All that is, without distortion, off course. I made this with the MAX038 because i simply found it somewhere in my parts bin, forgotten from a past era… Anyone asking me about this, i discourage him to do it with this chip. XR-2206 could be one solution, but it goes up to 1 MHz. I’m making a function generator using the XR2206. Mine works up to about 830 kHz. Any higher and the signal cuts out. The waveforms start to distort after about 100 kHz.